From Lapp, the Skintop ST series of cable glands have a tough polyamide construction, and offer a high degree of environmental protection. 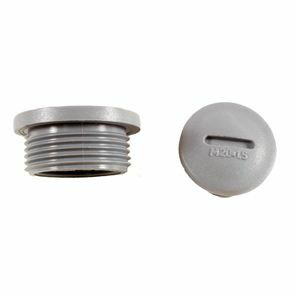 Whether youre connecting to panels, junction boxes or machinery casing, these cable glands are an easy-to-install solution in cable management. With a simple screw-on design, the Skintop ST series ensures fast assembly times, and offer a variable clamping range with excellent strain relief. These cable gland also feature a high degree of temperature, mechanical and oil resistance. Coupled with their permanent vibration protection, this makes them ideal for use with heavy machinery in industrial environments. This series of glands have metric measurements. 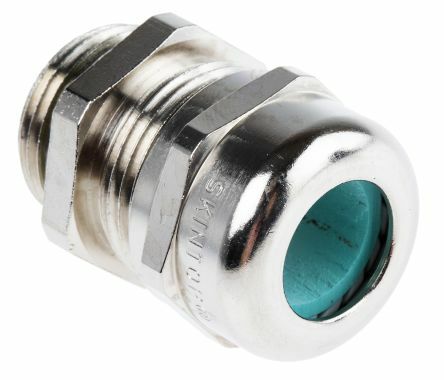 These cable glands are sealed to IP68 and have a 5 bar pressure rating. This means they have excellent protection against dust ingress and are waterproof even up to shallow submersion. 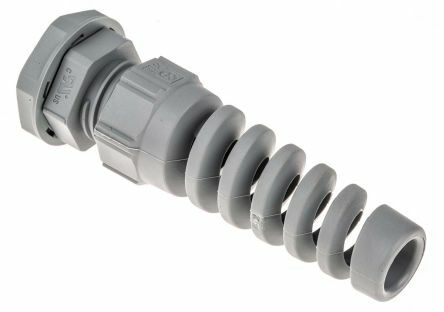 As such, they are suitable for use in harsh environments and even some open air applications. 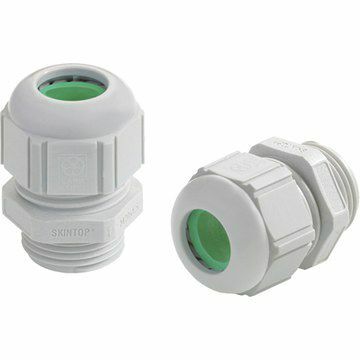 Skintop ST cable glands can be used with corresponding metric sized nylon locknuts.